Recently on Twitter, I was talking with a few of you about Beyond Belief: Fact or Fiction (1997-2002). For those unfamiliar with this television show: each episode shared supernatural stories, then revealed whether the stories were fact or fiction at the end of the episode. My favorite story from the show, “The Secret of the Family Tomb,” was about a haunted mausoleum. I included a clip of the story below (8 minutes) and will tell you whether it’s fact or fiction at the end of this post. With haunted mausoleums on my mind, I wanted to find more. 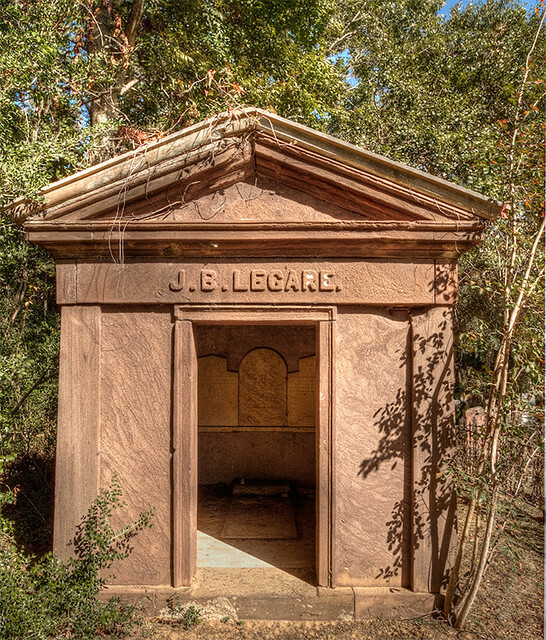 I’ve always found mausoleums interesting: they’re eerily quiet, mysterious, and beautifully made. What goes on behind those doors after dark? The following stories suggest the trapped spirits are trying to get out. In the mid-1800s, Julia Legare became sick with Diptheria. Her family watched as she suffocated, closed her eyes, and passed on. They laid her lifeless body on a stone slab in the family crypt, closed the door, and sealed the keyhole with wax. The family mourned and tried their best to move on. The mausoleum has remained doorless ever since. Could Julia’s spirit be protecting her brother from the same fate? In Green Lawn Cemetery, there is a large mausoleum that holds members of the Hayden family. Legend says that if you knock on the mausoleum doors, a spirit will answer back with a knock. On rainy nights, people have also reported seeing a young boy leaning against its iron gates and crying. Is he buried inside? According to a user on Find a Grave, the mausoleum is in decent condition on the outside, but is in very bad shape on the inside. In Cleveland, Tennessee stands a beautiful 37-foot high mausoleum made of white Italian marble and stained with (what seems to be) blood. On October 18, 1871, Nina Craigmiles (age 7) died in a tragic buggy accident. Her grandfather, who often took her on buggy rides, was thrown clear of the accident and survived. Her father John Craigmiles was deeply saddened by this loss and constructed a church (St. Luke’s Episcopal Church) and mausoleum in her honor. Soon after her burial, blood stains began to appear. Shortly after Nina’s death, her brother died (name not documented). In 1899, John died of blood poisoning after a serious fall on an icy street. Nina’s mother, Adelia, died in 1928 after being hit by a car when crossing the street. They were all placed in the mausoleum. With each death, the blood stains got darker and more prominent. Could the spirits of the Craighmiles family be the cause of the mysterious red stains or is there some chemical reaction in the marble? Forest Park Cemetery was first incorporated in 1897 by a group of wealthy Troy businessmen under the Forest Park Cemetery Corporation, though based on older gravestones, the cemetery had apparently been in use since at least 1856. The original area chosen for the cemetery occupied over 200 acres (81 ha) of farmland in what was then rural Brunswick. Meant to outgrow and even outclass Troy’s Oakwood Cemetery, it was originally designed by Garnet Baltimore, the first African-American graduate ofRensselaer Polytechnic Institute. Baltimore planned on the cemetery to offer visitors a park-like experience, complete with statuary, winding trails, and a large receiving tomb near the entrance. The Forest Park Cemetery Corporation went bankrupt in 1914 and the cemetery was never completed to the original plans. The only structure that had been built was the receiving tomb, which still stands today, albeit in a dilapidated state. The receiving tomb was built from granite and featured a copper roof with a large skylight and contained 128 marble catacombs used for storing corpses during the winter. In 1914 the cemetery was re-incorporated by New York City natives under the name Forest Hills Cemetery. Due to financial difficulty, the corporation sold all but 22 acres (8.9 ha) to the neighboring County Club of Troy, for use in the construction of its golf course. Regardless, the corporation also went bankrupt during the 1930s. The cemetery went mostly unattended except for a local man named William Christian who volunteered to be caretaker and did so from 1918 to his death in 1961. Christian kept notes of interments, which indicate that the cemetery served upwards of 1,400 burials. Burials continued in the cemetery until about 1975, when the cemetery went completely unattended. Until 1987, control of the cemetery was in dispute. During that year, control was vested in the Town of Brunswick, at the decree of New York State. In response, the town created a Forest Park Cemetery Advisory Council in 1991, but it ended up being disbanded in 1994. Based on local obituaries, the cemetery was put back into use in the late 1990s and has been used as recently as 2005 for a burial. Employees from the Town of Brunswick made multiple attempts during the 1990s and 2000s to remove the overgrown brush and plants, which had become a major problem. In 1988, the cemetery was featured in the local Times Record newspaper after two youths discovered a partially exhumed grave. Two shovels, a pick and several beer cans were found at the crime scene. Although police reports were filed, no one was apprehended for the crime. According to urban legend, this cemetery is a gateway to hell. People have reported that a headless angel statue bleeds from the neck (which many believe is just moss). The mausoleum (or the before mentioned receiving tomb) was opened by residents, revealing that there were no bodies inside. People believe the bodies disappeared or walked off. Others argue it was simply a holding area for bodies to be buried, and that it never served as a final resting place. 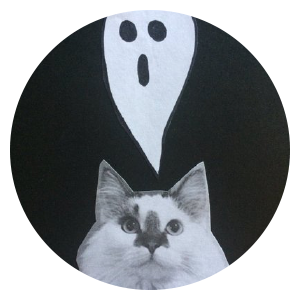 If you need a scare, Weird US has two stories from readers that have visited the site! The small Lithuanian Liberty Cemetery was established in 1914 and holds less than 20 memorials. In the corner of the cemetery stands a mausoleum with the bodies of two brothers. According to legend, “The Hatchet Man” guards the mausoleum at night and chases off anyone that enters the cemetery. As with many cemeteries, there has been vandalism. In the 1960s, a local boy allegedly broke into the mausoleum and took a skull. The boy drove around town with the skull on his dashboard. Once word got out that it was indeed real, the skull was returned and the mausoleum doors were cemented shut. In recent years, a burned dog’s head was found on the mausoleum steps and was linked to animal sacrifice. Another legend tells of a reporter who poured holy water down the vent of the mausoleum, which caused a groaning noise from inside. People have also reported a pale and thin apparition walking around at night. So, is the scary story about the family tomb fact or fiction?